On January 17, Pauling files a lawsuit against the National Review, asking damages of $500,000 for the first editorial, and damages of $500,000 for a second editorial. He complains that the National Review recklessly and maliciously intended to destroy his good reputation. 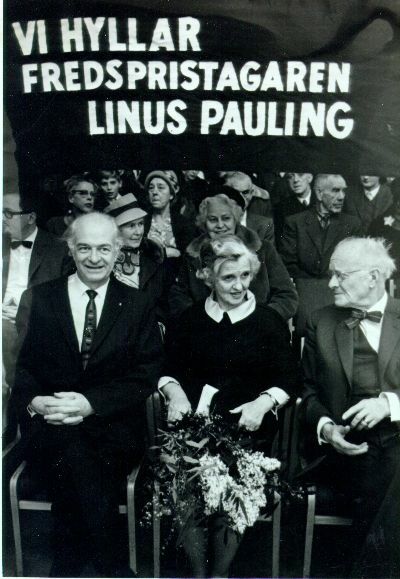 On October 10, the day that a partial nuclear test ban treaty goes into effect, the Nobel Peace Prize Committee of the Norwegian Parliament announces the award of the 1962 Nobel Peace Prize to Linus Pauling. On October 25, an editorial entitled "A Weird Insult from Norway" appears in Life magazine. It deplores Pauling’s stands on the Cuban Missile Crisis, the Korean War, and nuclear testing. This negative reaction to Pauling’s Nobel Peace Prize is also typical of many members of the CIT community. Consequently, the Division of Chemistry and Chemical Engineering does nothing to honor or recognize Pauling’s award. President DuBridge states that he prefers to work for peace in a way other than what the Norwegian Committee deems proper. According to Ava Helen, these reactions hurt her husband deeply and constitute the principal reason for his leaving CIT. At the end of October, Pauling announces that he has accepted the appointment, effective November 1, as a member of the staff of the Center for the Study of Democratic Institutions in Santa Barbara, California. He hopes to continue, in this new environment, his work in science, medicine, and world affairs. He will be on a leave of absence from CIT for the rest of the academic year, though he will continue to supervise his experimental and theoretical research in the fields of chemistry in relation to mental disease and the mechanism of action of anesthetic agents. On December 10, he receives the Nobel Peace Prize for 1962 in Norway. When the popular press, even Chemical and Engineering News, play down Pauling’s Peace Prize, he is very disappointed. The treatment in Chemical and Engineering News especially rankles him, for he feels, with justification, that a former president of the American Chemical Society who becomes the first person to win two unshared Nobel Prizes merits extensive treatment. Therefore, he resigns from the American Chemical Society because of his dissatisfaction with the attitude of the society toward him, his bomb-test suits, and his Nobel Peace Prize. I don’t know where the Mercedes papers are -- I gave it to Pete without ever having them. 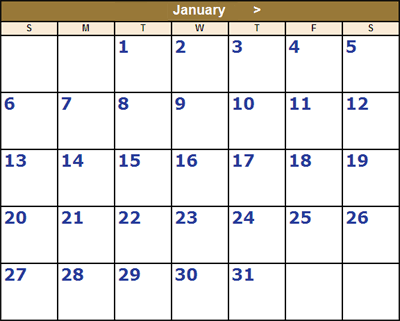 Crel might be the one to ask – also other details. In general, the car is a 38/240 model SS, 4-seater tourer, built in 1930. This model was developed in 1928 and built through 1931. The 4-seater like this one was used in GF races initially, but then the model was stripped and shortened and raced as the SSK 2-seater. Pictures and more info may be found in the Scott-Moncrieff Three-pointed Star and other books. Info I found in old letters from Pete: 30 SS in England, 6 in US, 3 in S. America, 0 in Germany. Only 1 SSKL in the world in Germany. No info on SSK. So much for that, except that $3500 sounds like a reasonable price. I hate to see it go. It would be such more convenient for me to get up to the ranch for the roundup towards the end of March on my way to Europe, and I would very much like to be there for the roundup. If it must be earlier, I might be able to arrange to leave here for a long weekend, Thursday-Sunday. My final schedule for Europe is not made up yet — I may be in California as early as the weekend of the 20th of March, at the latest the 27th. I hope it works out that I can be on hand — I want to try those Rocky Mountain oysters again! Re the Mercedes, I don't think it has ever been registered in USA, therefore no pink slip. For selling it I would suppose you would need a bill of sale, shipping invoice or bill of lading and perhaps the old English registration. I have some bills and estimates from M-B that I could pass over to the new owner, but perhaps you should not mention these until the sale is completed. I am glad things seem to be working out re your move -- although I don’t have too much confidence in the Center’s longevity. People have been asking me when Pop might come to Hawaii, and someone told me he had mentioned August. Anything to this? Thanks for your letter. I am sorry to learn about the death of Professor Hughes. I am pleased with your letter, if I have understood it correctly. It is good that you have decided that you must start accomplishing things, and I think that for you to have got a dictaphone and a typewriter is a good idea. I remember that when I was your age I had to write most of my letters by hand (although I gave a few to the department secretary), and it was a relief to me when I was able to get a secretary. Mama and I are going to the ranch again tomorrow, for a week. Last week we sold one heifer and eight young steers, reducing our herd to a total of twenty-four. We are hoping to have fifteen calves born late this fall. P.S. I have asked that the sum remaining in my account at Barclays Bank in Oxford be sent to you, so that you should receive a draft before long, for approximately 29 pounds. Please let me know if you receive it. It is a present for you.